We know exactly what it takes to make your wedding reception an exceptional experience. Our knowledge and expertise in events means you’ll have the very best team working with you to create your dream wedding reception. If you are considering a Destination wedding, please take a look at our sister company, Weddings by MGN. Your wedding day is the most important day of your life – it should be special, memorable and full of joy. Nerves will be natural, but stress is unnecessary. With MGN events taking care of your wedding reception, you can relax in the knowledge that we know exactly what we’re doing and that every last detail has been covered. Ours is a totally bespoke service. 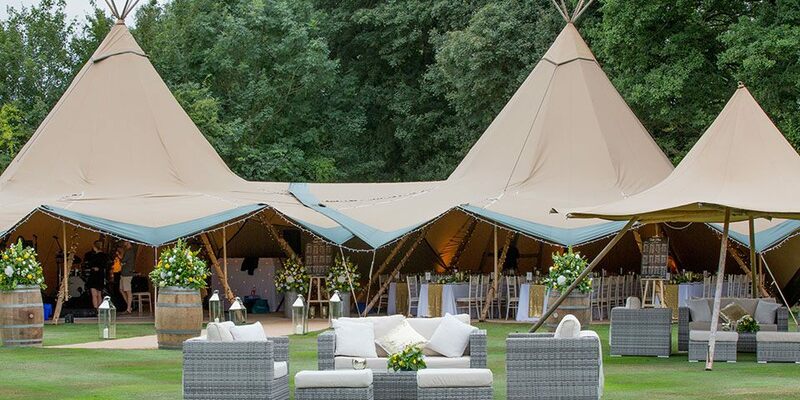 Whether you want to create a rustic theme with tipis and fire pits in your garden or want to go vintage in a grand country mansion, we’ll bring your vision to life. If you have no firm ideas or simply want to involve your favorite florist, we’ll work with you to understand your likes and dislikes and create a theme that reflects you as a couple because you are the focus of the event. From finding the perfect venue and sourcing suppliers to making sure everything looks perfect and runs smoothly on the day, the MGN events team will work closely with you to deliver the wedding reception you want – one that you and your guests will remember for the rest of your lives. 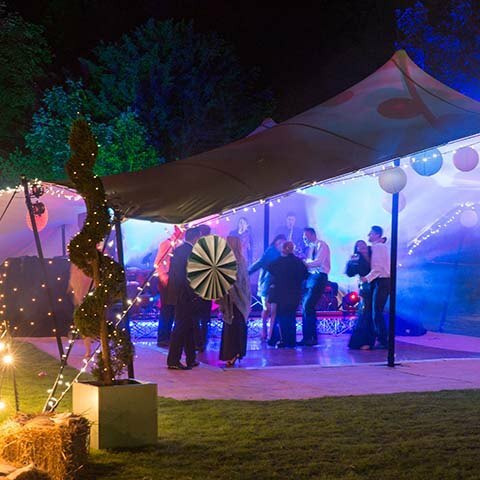 Thinking of hosting your wedding in a marquee at a family home? 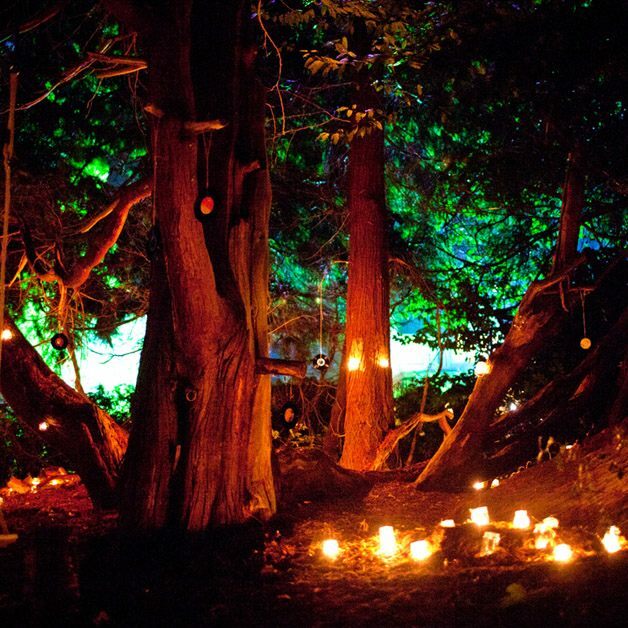 We are experts in transforming weddings in marquees into unique magical environments. 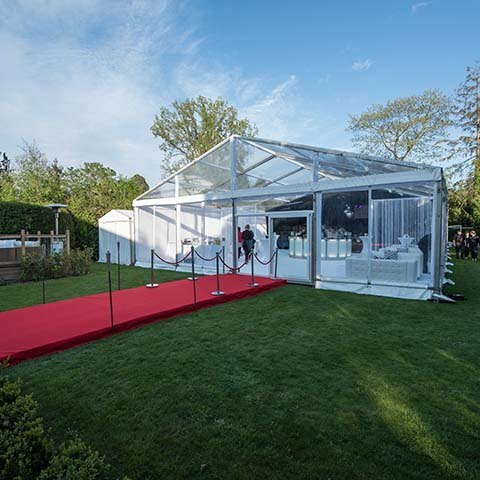 Marquees are great as a blank canvas to create a truly unique wedding reception, whether it be vintage, traditional, modern or classic in style and we have the expertise, vision and experience to help you achieve this. An elegant and stunning style to host your wedding. Perfect for vintage style weddings. Unique and a flexible solution to provide space for larger wedding parties. 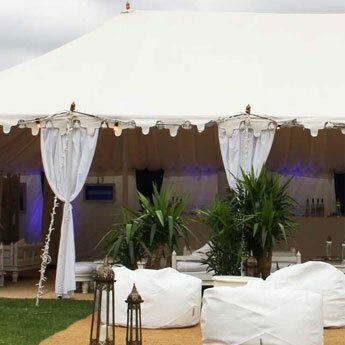 Perfect for large wedding seated wedding parties as these marquees have not interior poles. 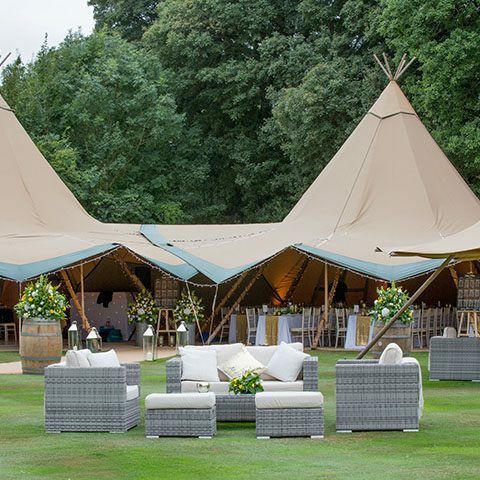 These exotic style marquees provide the perfect blank canvas for a luxury interior styled with vibrant drapery, bright forestry and the perfect finishing touches. Transform your evening space into a wash of colour with LED uplighters in any colour your chose to match your wedding theme. 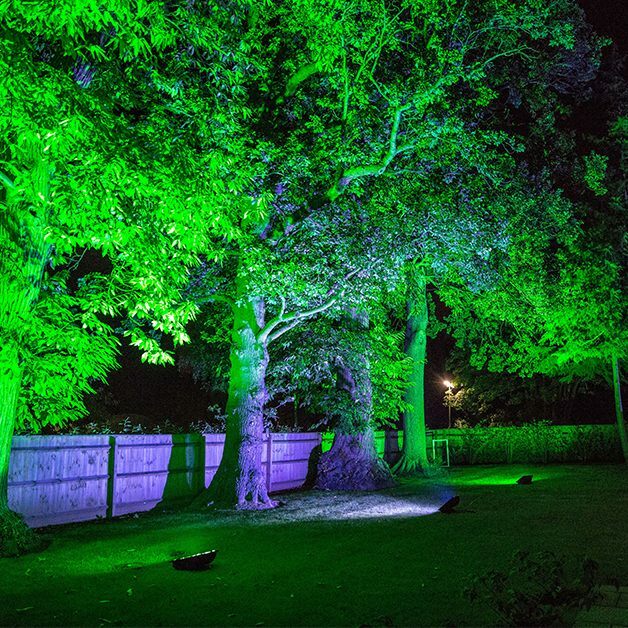 Create the perfect atmosphere to share with your wedding guests with intelligent lighting in your venue. 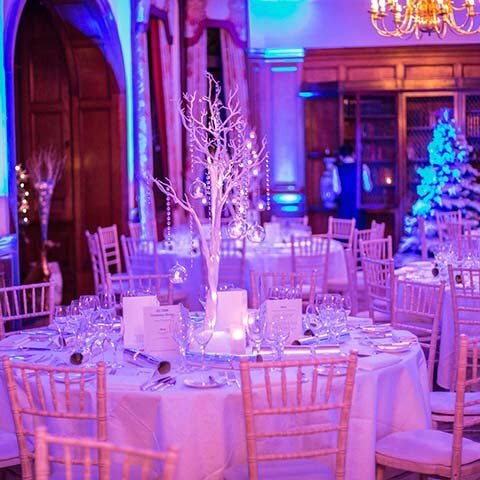 Warm LED Fairy Lights suspended from your ceiling in intricate designs or draped across your marquee or dancefloor area to add a touch of sparkle. 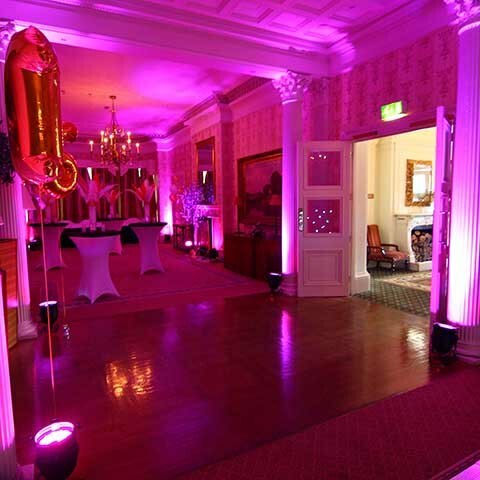 LED uplighters can change to any colour, so your wedding colour scheme can easily be achieved! 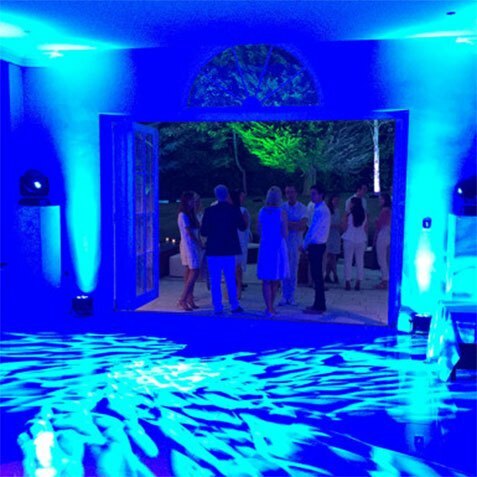 Make the right entrance on your special day by lighting up the outside of your chosen venue. Wow your guests from arrival. 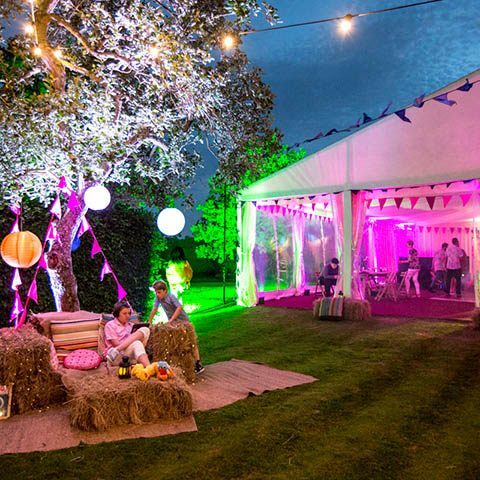 Wash your gardens with colour to create a stunning backdrop to your party wedding. 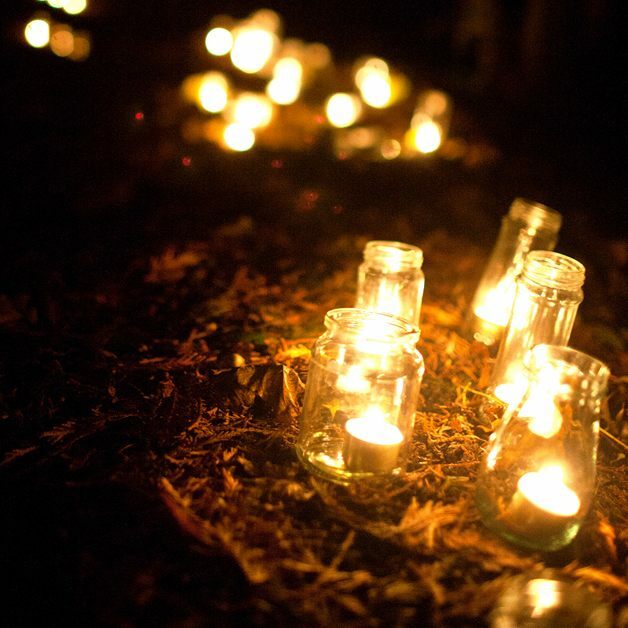 Both romantic and magical, tea lights are simple yet effective style of lighting and perfect for themed weddings. 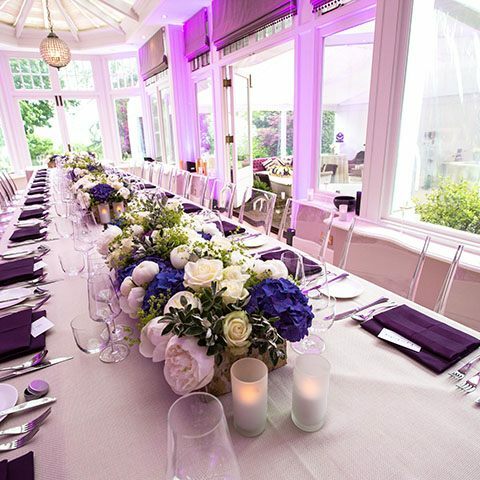 Bring your wedding venue to life with a splash of colour. 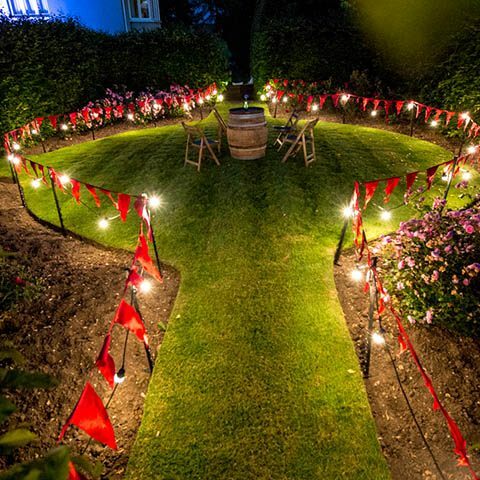 The perfect touch for creating walkways to guide your wedding guests between various spaces at your evening party. 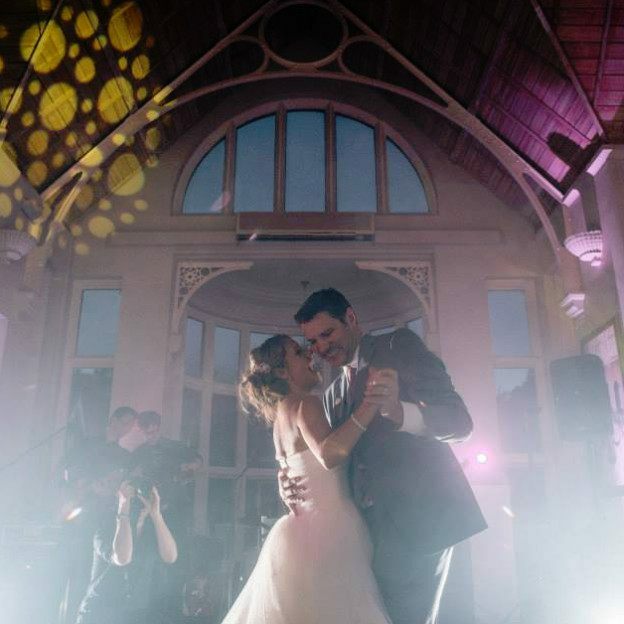 PA systems, microphones, Audio Visual, projectors, staging – we’ve got you covered and can advise on all the equipment you will need to host your wedding. 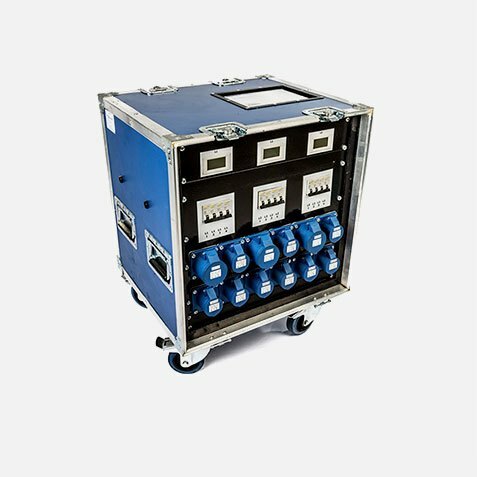 We’ll take care of all your power distribution for your wedding. 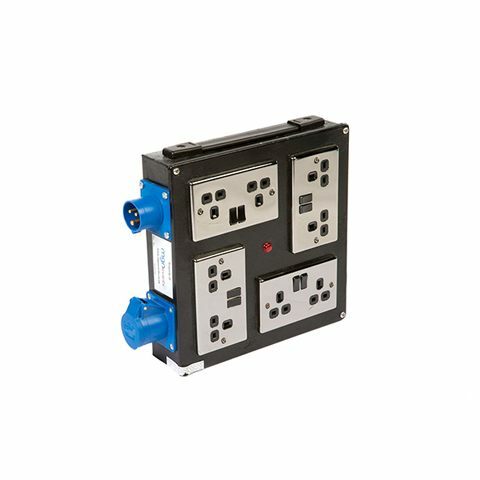 We’ll ensure the caterers, band and all other suppliers who need power, have sufficient supply to function. We can supply generators or run the supply from your venue or home. 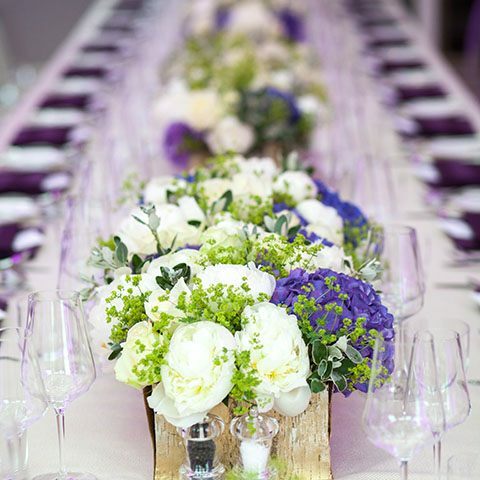 Our team is bursting with fresh and original wedding reception ideas! A simple call to us to discuss your dream wedding reception may be the best thing you’ll do while planning your wedding. 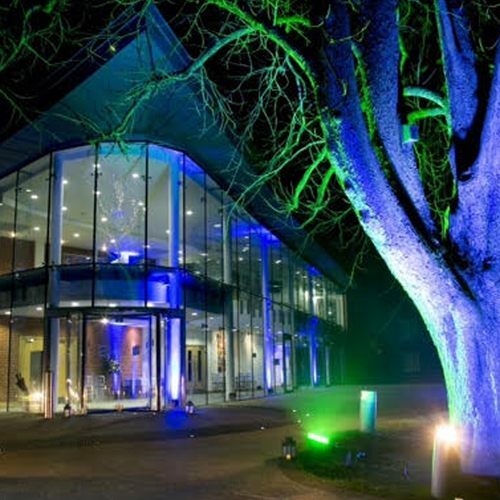 We can provide solutions for a variety of aspects such as indoor and outdoor lighting to help create the right atmosphere or the perfect DJ to keep the wedding party going all night. We regularly provide staging, dancefloors, LED uplighters, outdoor building lighting, professional and premium DJ setups, sound systems and furniture to name a few popular wedding items. 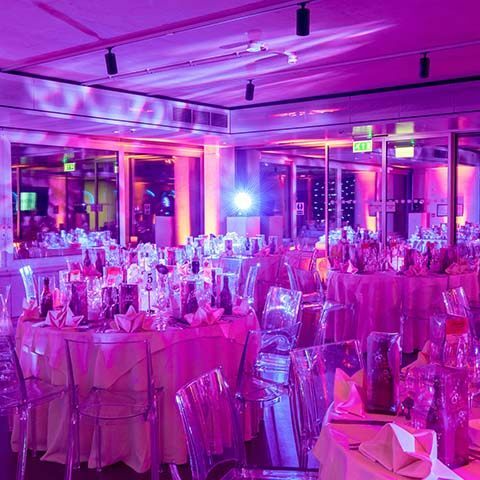 Indoor wedding reception lighting: wireless LED mood uplighters, warm Fairy Lights suspended from ceilings in intricate designs, dancefloor lighting and band lighting. 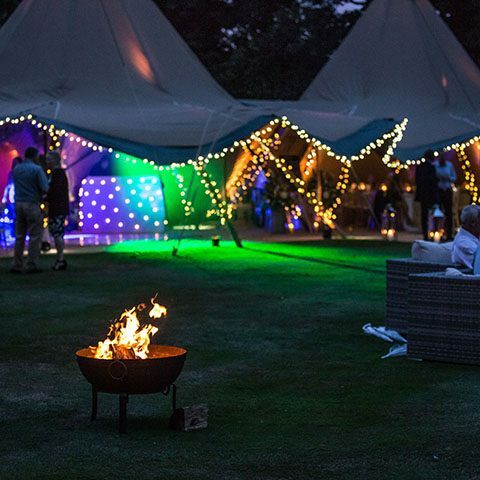 Outdoor wedding reception Lighting: coloured wash lights, traditional festoon lights, LED fairy lights to add a touch of sparkle. 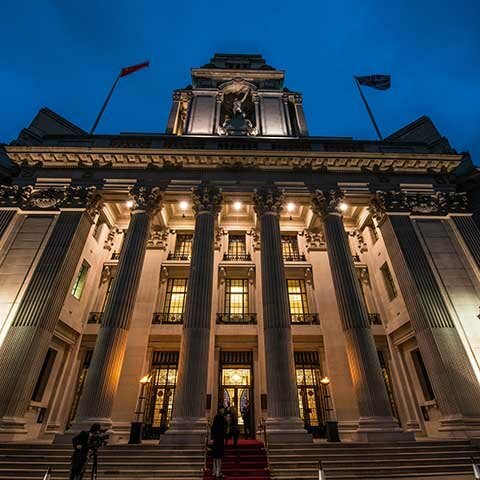 Wedding reception entertainment: top London DJs, bands and musicians. Wedding reception production: power, PA systems, microphones, Audio Visual, projectors, staging. Wedding reception floristry: Roses, Tulips, Calla Lilies, Peonies, Hydrangeas, Ranunculus, Stephanotis. Let our team of friendly experts take care of your wedding reception and produce a truly memorable wedding reception. We’ll provide as much or as little help as you need. Call us, email us or fill in our form below to arrange your free consultation. What a party, your staff were amazing, Hettie was first class her organising skills and people skills and attention to detail is excellent. Matt’s and Susan hit it off from day one. Neil was so professional and reassuring he achieved everything we wanted to happen. Josh just created a fantastic atmosphere throughout the party. The entertainment was absolutely fantastic the food and catering was amazing. I would only be too happy to tell your future clients what a good company you are . Such a beautiful day, thank you for all your help making it special for us. Thank you for everything!